On November 6, the '2018 MGA' took place at Namdong Gymnasium in Incheon. At the event, BTS had a special collaboration stage with Charlie Puth. They�performed a ballad version of "Fake Love." 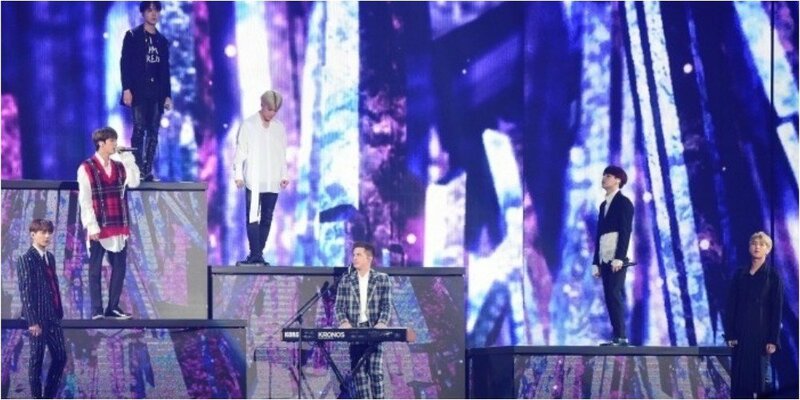 BTS is known for having stellar live performances, but the "Fake Love" collaboration stage failed to live up to expectations, according to netizens.�It's claimed the vocalists of the group, especially Jimin�and V, had shaky vocals and "sounded awful in general." yeah what the heck was that all about. It sounded terrible. I'm not here to defend BTS or to place blame on anyone else. It sounds like exhaustion coupled with a lack of rest with their vocal cords. I understand them wanting to do everything to appease their fans with working hard for them, but at the end of the day this performance was not good. They're performers, and if a performer isn't at 100% then they shouldn't perform, so they should have known better instead of risking further damage. But this performance does not mean they're a talentless group, because I've seen how talented these boys are. But at the end of the day this performance did not meet their usual standard so it's a bit disappointing because it could have been so much more.